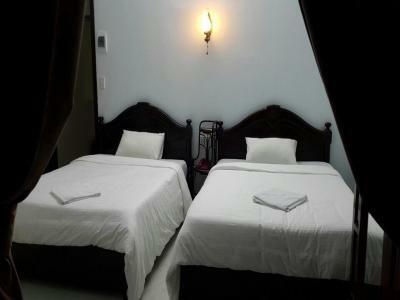 Lock in a great price for Binh Duong 2 Hotel – rated 8.1 by recent guests! Good location, room very clean and spacious. Bed comfortable. Staff very friendly and helpful, also they booked for me a bike. Good views from the 7th floor balcony. Quiet. Clean. Decent location but tucked off the main streets. The area is predominantly patronized by local folks, away from the tourist hotel and restaurant area. So, here you will be IN Vietnam. Also closer to the Imperial City. 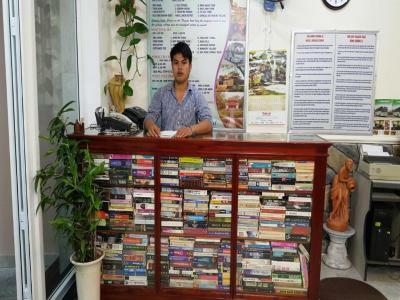 Very friendly reception and staff with service attitude. Friendly, helpful staff. Comfortable bed and good facilities. Free breakfast. Lift was helpful as we stayed on the 6th floor. Staff is very helpful.Hotel is very basic but clean and tidy. Staff were friendly and very helpful. Rooms were basic but spacious and clean. The staff were really lovely and helpful. The room was spacious and clean. Great value for money. Nice balcony. The location was very good. 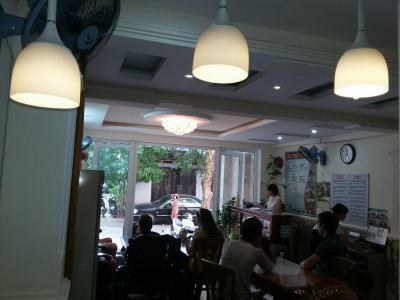 Close to nice restaurants and cafes. Staff was very friendly and helped me with further travel arrangements. I also book the wrong dates and they offered me to arrange it. 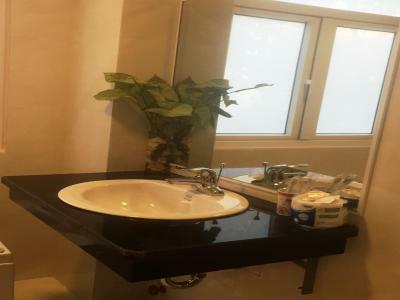 Binh Duong 2 Hotel This rating is a reflection of how the property compares to the industry standard when it comes to price, facilities and services available. It's based on a self-evaluation by the property. Use this rating to help choose your stay! 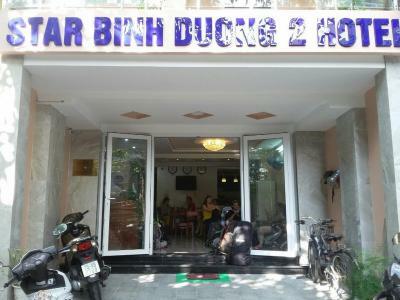 Binh Duong 2 Hotel is within walking distance from Huong River. It provides well-appointed accommodations with private balconies and flat-screen cable TV. Wi-fi is free in the entire hotel. Rooms are bright and airy, and come equipped with air conditioning and a mini-bar. 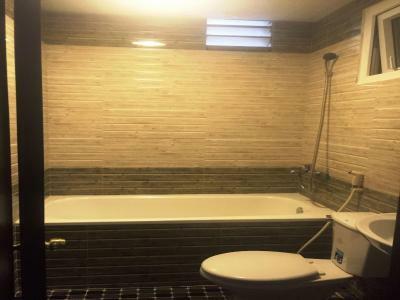 They have modern private bathrooms featuring both a shower and a bathtub. 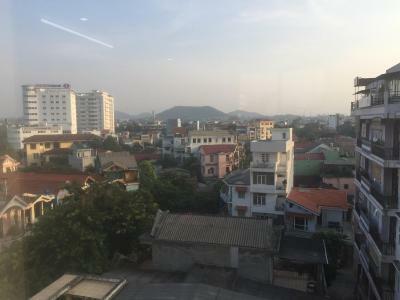 Views of the city can be enjoyed from all rooms. 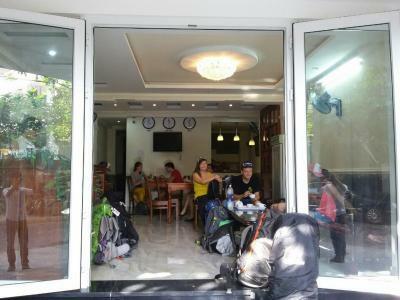 The Binh Duong Hotel provides breakfast daily for guests’ convenience. Other services at the hotel include currency exchange facilities, laundry and car rental. 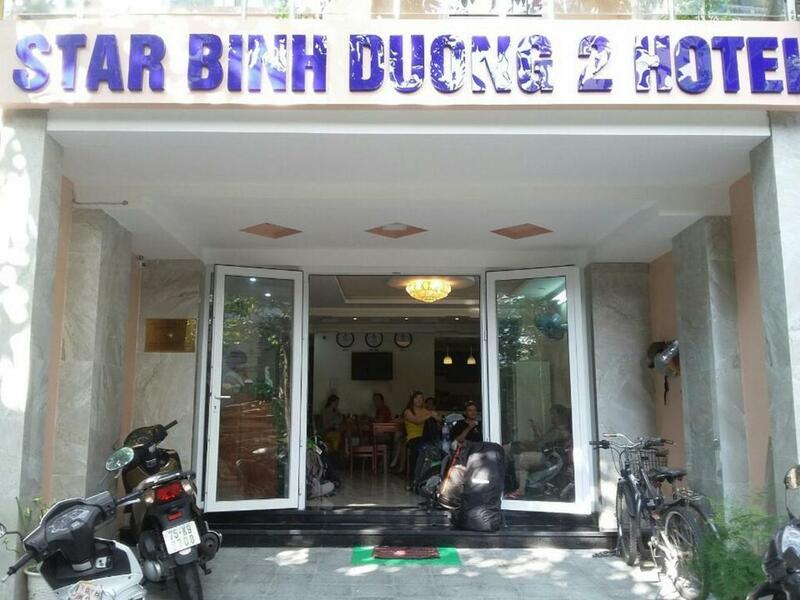 Centrally located in Hue, Binh Duong 2 is only a stroll from Phu Xuan Bridge, the local market and various dining options. 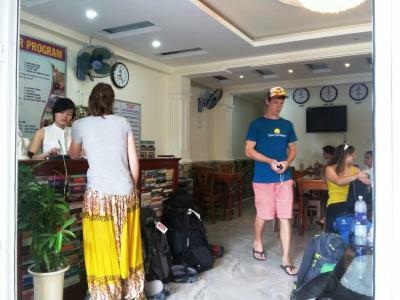 Phu Bai Airport is a half hour drive away. 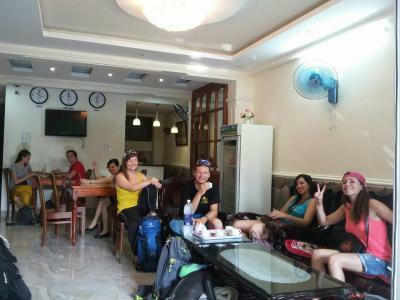 When would you like to stay at Binh Duong 2 Hotel? This suite offers 2 single beds or 1 large double bed. 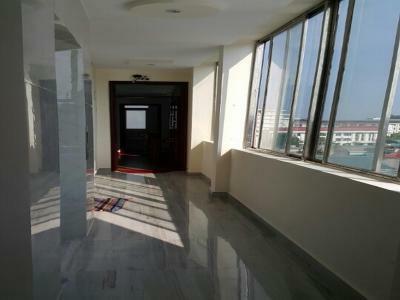 This quadruple room has a balcony, seating area and tile/marble floor. 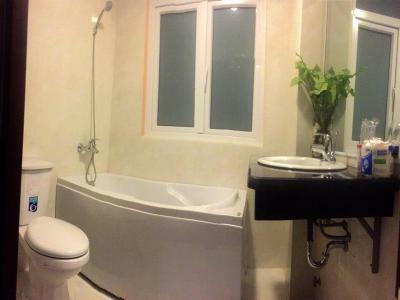 This room can accommodate a maximum of 4 guests. This triple room features a balcony, electric kettle and seating area. 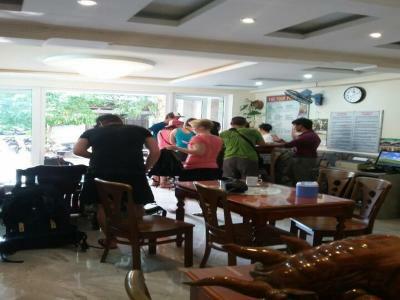 House Rules Binh Duong 2 Hotel takes special requests – add in the next step! 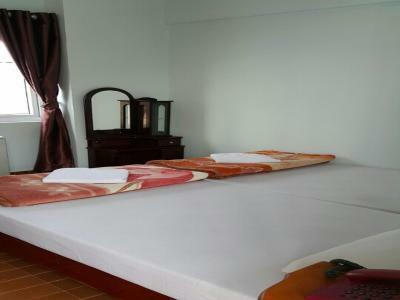 One older child or adult is charged VND 116711.63 per person per night in an extra bed. Binh Duong 2 Hotel accepts these cards and reserves the right to temporarily hold an amount prior to arrival. There was no atmosphere in the hotel and facilities were run down, e.g. sheets were clean but stained, fan sometimes worked... .
Staff were responsive e.g. request to move room. The new room was a good size. The hotel was near the centre. Room was short on electrical outlets. The room was very cheap, but we had workers near the room from 7:30 a.m. doing noise because they were building the new part of the hotel. At the time of our stay (November 2018) there was a construction site next to the hotel. But that was not a problem to us especially as it was quiet during the night. Room smelt a bit damp. Lots of building work in the area, not a fault of the hotel but did disturb us early in the morning. Ok for not a very long stay. Breakfast very poor: coffee, one bread with butter or/and jam and nothing else. I bought some fruit. No heating in room and in early February the weather was damp and cold. The staff did readily provide extra blankets though which was appreciated.